I got a good chuckle out of all the feverish speculation a little while back about why right wing poster girl Sarah Palin decided to resign as governor of Alaska. It seemed pretty straightforward to me. All of her reasons--1,070 at latest count, and no doubt rising daily--can be found here. 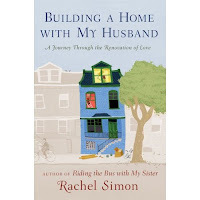 This month, the honor goes to Building a Home With My Husband--A Journey Through the Renovation of Love. We loved the double meaning, and the lovely cover illustration sure didn't hurt any. Runner-up honors goes to Normal at Any Cost--Tall Girls, Short Boys, and the Medical Industry's Quest to Manipulate Height. You can review earlier fav book titles here. —Blaise Pascal. He may have been a 17th century French mathematician and philosopher, but we think he understood plenty about that which has remained largely unchanged since his time: the human condition. We'd love to hear your thoughts on the matter. --from On Writing--A Memoir of the Craft, by Stephen King. For many years, King championed Cleveland author Don Robertson. In 1987, King's Philtrum Press published Robertson's novel, The Ideal, Genuine Man. 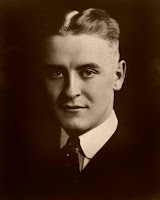 Before launching his fiction career, Robertson worked at all three major Cleveland papers, the News, Press and Plain Dealer. He died in 1999. --from the latest remarkable piece of writing by John Hyduk. He goes on to say in this piece that "there is a genius to listening." Last year, I outlined why he's perhaps my favorite Cleveland writer, even as he remains better known among fellow writers--among whom he inspires something bordering on awe in many--than among average readers. 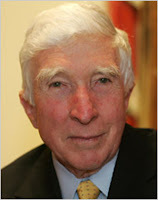 --the late John Updike, whom we would like to think now resides in writerly heaven. We recently noted his passing here. --from the latest small masterpiece by Joseph Epstein, one of the finest essayist you'll find writing anywhere in the English language. You can review several earlier mentions of him here. We played a small role in resolving an Epstein-related mystery recently. A reader working on a doctoral dissertation wrote to ask us the source of an earlier Epstein quote we had posted, and we could only point him to a secondary source. Needing to trace it back to its original source, the doctoral candidate was stumped. Why not email the author himself and just ask him, we suggested, sending along Epstein's bio page from Northwestern University (from which he retired not long ago, though he retains an emeritus status). Sure enough, he did just that, and Epstein promptly emailed back, settling the issue. 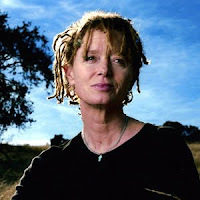 --Anne Lamott. We've pointed to her often, for what I hope are obvious reasons. She's just damn brilliant. --the late writer William A. Ward, author of Fountains of Faith. We got a treat this week, playing host to 15 college students who are touring the country in a mobile educational vehicle. My wife's niece, Anna Wearn, was among the Dartmouth students who are touring America in the Big Green Bus, and they camped out at our house for a couple nights, and got to enjoy Cedar Point before taking off for their next stop, Columbus. The Plain Dealer's environmental beat reporter Michael Scott posted this video interview with Anna, and the accompanying story ran in the print edition yesterday. You can learn more about their cross-country sojourn at the bus' website. If you like, you can even track their progress through the Big Green Bus blog. --from The Lost Art of Reading, an eye-opening piece by L.A. Times book editor David Ulin, who admits that even he has trouble focusing long enough to read books anymore. We recently had a small conversation here about Twitter, attention spans and A.D.D., but this extraordinarily honest piece should grab the attention of all serious readers. Do you think it's more a sign of advancing age on his part (we don't know his age, but we'll try to find out; one would assume he's not young) or part of a larger rewiring of our brains by a faster, image-addicted culture? We'd love to hear your thoughts. And please note the LAT's new website design, just launched in the last 24 hours. We're saddened that the trend toward plainer, (what we consider) uglier web designs with less color continue to make their inroads all over the web. For me, it makes for a slightly less interesting experience. Finally, you can review earlier entries about the joys of reading here, here, here, here, here and here. --the late British novelist W. Somerset Maugham. He lives on through his masterpiece, Razor's Edge. If you've never seen the 1984 movie version with Bill Murray, do yourself a favor and rent it now. And if that ultimately induces you to read the novel, so much the better. --Vincent Van Gogh. We'd love to hear anyone's thoughts on how this idea does or does not resonate for you. And if it does, perhaps you can provide an example of how it's worked in your life. --the immortal comedian Johnny Carson, who helped launch scores of comedy careers simply by his thumbs up, the coveted invitation to come sit awhile for an interview on his Tonight Show couch. I got a kick out of this, from the Cleveland Poetics blog. Perhaps you will too. We've written often, though not recently, about the ill effects of too much money and high-powered lobbying on our national politics. We've also pointed out (here and here) the heroic job the Center for Responsive Politics has done in attempting to track it all. More recently, it's been joined by the Sunlight Foundation, which does equally fine work (which we noted last year). Sunlight recently added this uniquely helpful tracking device. The subject of money and lobbying is even due for Hollywood treatment soon, with actor Kevin Spacey playing the now-imprisoned sleazeball lobbyist Jack Abramoff in an upcoming movie. But sometimes, the mere act of compiling statistics speaks louder than even any narrative treatment could. I think that's true with this table of the top organizational donors to politicians and political parties over the last decade. It just kind of left me shaking my head. How about you? --Marie Curie. What was true in her day is even truer today. May all my friends, acquaintances and readers who are suffering through the agony of career transitions find some small solace in this wisdom. For the sake of efficiency, I've decided that rather than take part in the time-consuming task of individually answering the oft-recurring question about my summer vacation plans, I'd simply respond by sending this article from the Wall Street Journal. It nicely outlines the conundrum of being self-employed, and how one tends to not want to wander off too far, for too long, lest you miss a project or two. And in an iffy economy, that dynamic looms ever-larger. Of course, millions of Americans aren't taking a vacation this summer for other reasons, such as being laid off and without income. So I remind myself about that whenever I'm on the verge of feeling sorry for myself. In any event, don't let that stop you from telling us about your summer vacation plans, or the trip you've already taken, or the cool places you've seen, even if on staycation, a newly coined term that you may have been hearing a lot lately, for all the obvious reasons. After all, perhaps we'll get some vicarious thrills that way. 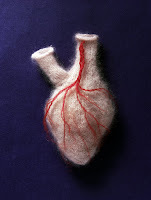 Who Was the Real Raymond Carver? The London Times looks at the late, legendary short story writer Raymond Carver's storied career. It's pretty well documented now that his editor, Gordon Lish, was much more than a mere editor for him, acting more like a co-writer. Have you ever worked with someone like that, who wanted to tear up all your work and redo it themselves? Or perhaps you were that editor. If so, we'd love to hear your thoughts, on this example, on yours, or any other you care to share. --E.B. White. 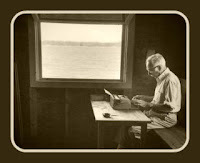 You can review earlier mentions of the immortal essayist and widely acknowledged writer's writer here. My husband and I have been married for 35 years and get along well. He is very affectionate and complimentary to me, but practically goes into a trance if he sees an attractive woman -- even stopping in mid-conversation. I've told him it bothers me, but he continues. --from a recent letter to Washington Post advice columnist Carolyn Hax. We think she oversees the best advice column anywhere. You can sample more of her columns here.